The owl and the pussycat went to sea. But nevertheless, off she floats! 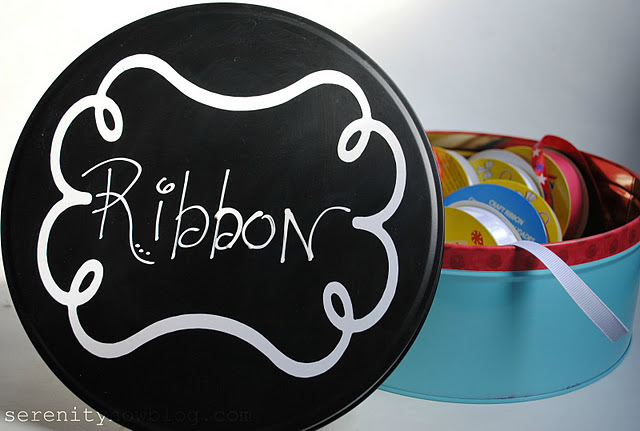 Whimsical, wonderful DIY care of Momtastic. Holidays gone by in a blur? 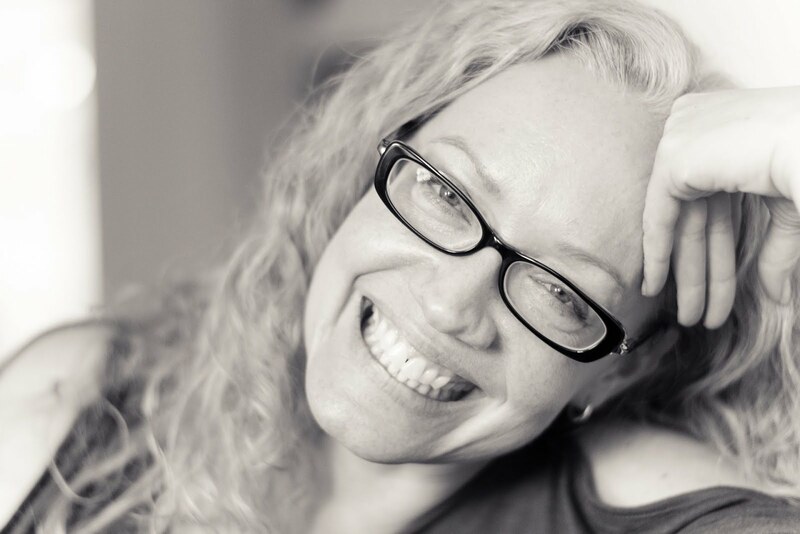 Kids suffering from a little jetlag and maybe a little appreciation-amnesia? 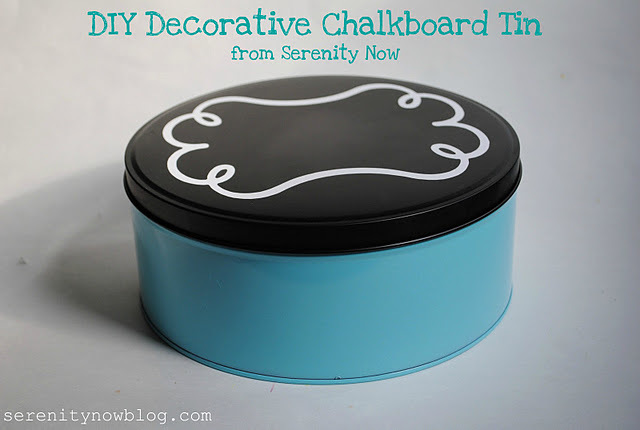 This might be a nice way to slow things down (and pin things down) for your digitally-oriented progeny. This little book is part MOmento, part MEmory-keeper, part coloring/craft activity. Get it from OhMyHandmadeGoodness. 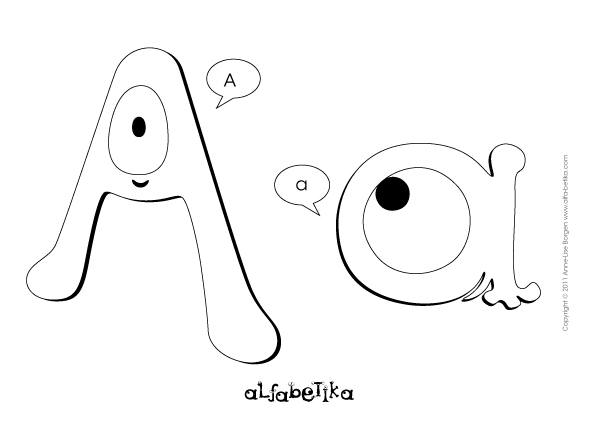 Printable: Quirky letters & coloring sheets! DIY: Play with your food! If you know a kid who knows the difference between playdough and actual chocolate cookie dough, Nutella Playdough might be a TON of fun. 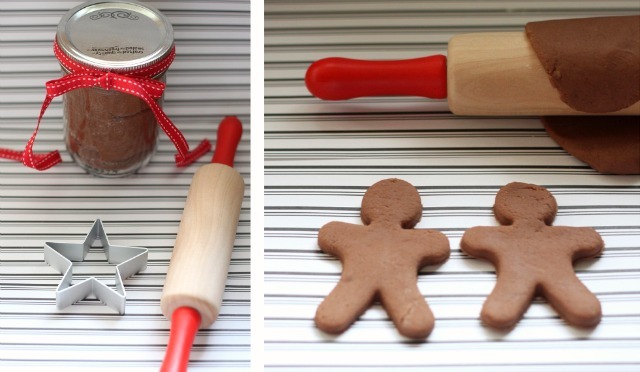 And you get to eat Nutella while you make the playdough - always a perk. Anyone else see April fool's day potential in this??? When I was a kid, I loved counting down to Christmas ... and every year I get a little thrill when the advent calendars appear. Some of my favs below. 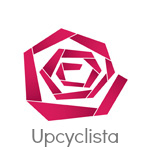 For a great round up of colorful (cheap!) ideas, visit The Crafty Crow. Oh the places she'll go! 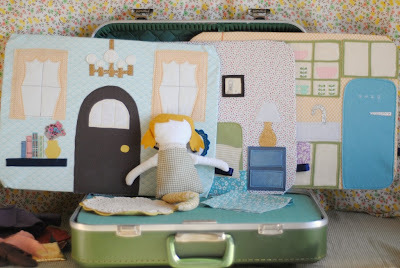 This whimsical, portable, transformable, retro-cottagy, wonderous idea taps into my inner little girl like little else I've seen recently. 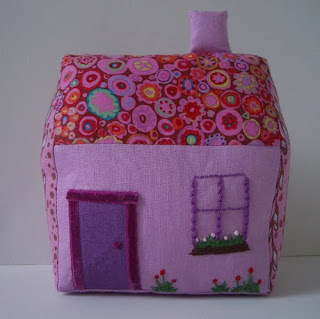 Not to mention my inner-applique-lover. 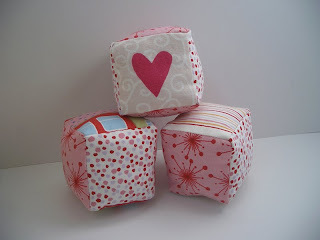 Head over to Prudent Baby for the full tutorial and lots more images. 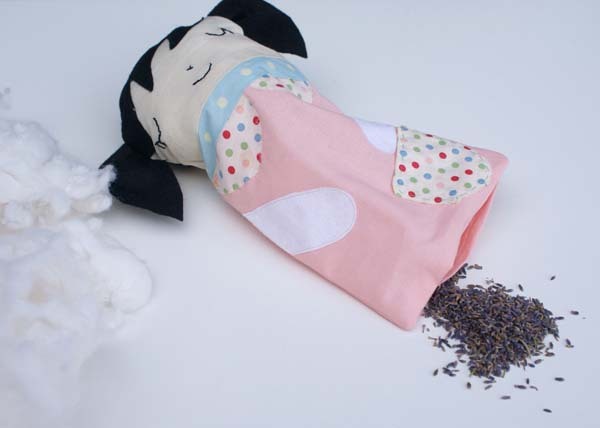 Lovely pattern for this bedtime buddy stuffed with a handful of lavender. Thanks to WhipUp. I know that a surprise note in my lunchbox (or purse, or backpack, or laptop case or suitcase or...) always makes my day. 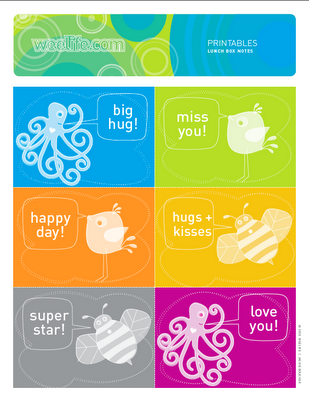 These templates are lovely ... and she has a version that's blank so you can write whatever you like. Thanks to WeeLife. Pretty cute! 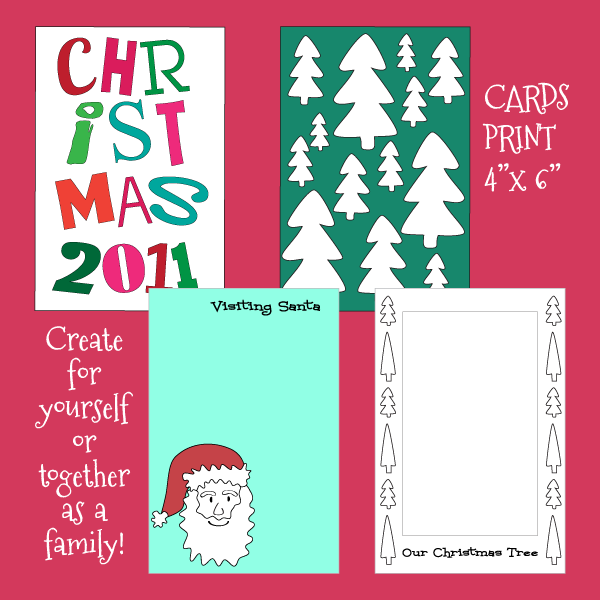 You'll find this at Paperkraft ... while you're there, check out the other holiday-related printables. 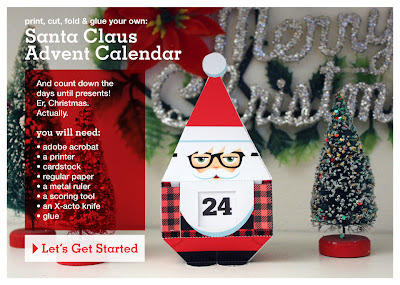 I think my favorite idea for a Xmas countdown calendar remains the holiday-book-a-day idea I saw posted last year. 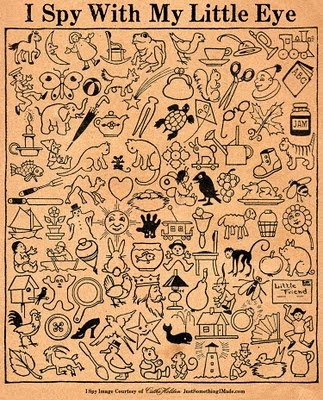 This lovely "I-Spy" sheet is from a 19th Century childrens' book. Get it here. Insomnia seems to be part of my life right now - who knows why. But in my sleeplessness last night, this little poem/rhyme floated into my head. If you're familiar with A Hole is to Dig (Ruth Krauss - illus. 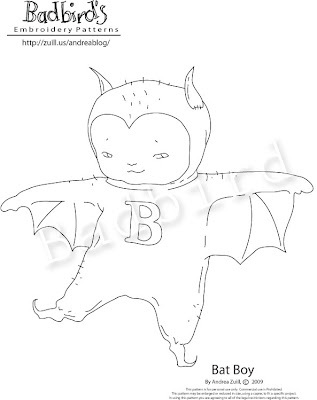 by Maurice Sendak) then you'll recognize some of the structure. A word is to chew on and swallow and learn. A story is to wonder and to grow and to give. A period is to stop. A verb is to do. A noun is to name this and that, me and you. But a story is to be. A hero is to win. A fairy is to sparkle and a whale is to swim. A giant is to crunch. A dragon is to roar. A wizard is to conjure and a bird is to soar. A story is to try. To be brave. To be free. A story is a climb up the very tallest tree. 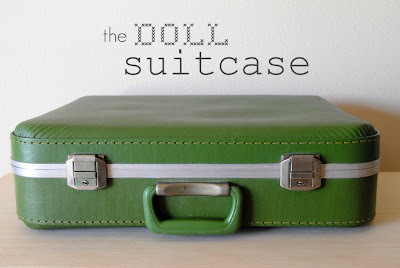 If you're the embroidering sort, then Badbird's blog is the place for you. I love this Bad Bat Boy! Printable: Grinning like a Cheshire Cat! 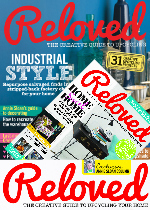 If you know me (or you've spent any time at all doodling around on this blog) then it won't surprise you in the least to discover... I'm super excited about the coming of Alice in Wonderland care of Tim Burton! 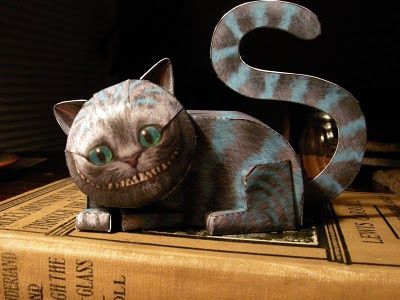 If you too are just the teensiest bit excited, then you should print and build your very own (somewhat creepy) Cheshire Cat and display him prominently on a high perch. Like the top of the fridge. I think he'll successfully scare away crows and potential burglers. 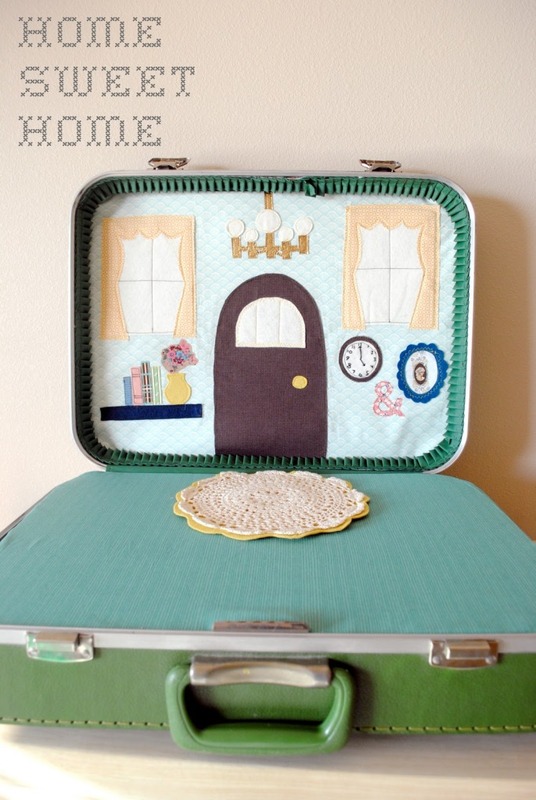 Come to think of it, maybe you should skip this craft if you have small children. Get him here. London Mummy is far too chic for her own good. On the other hand, the idea of simply raising a child successfully in London makes my hair hurt. 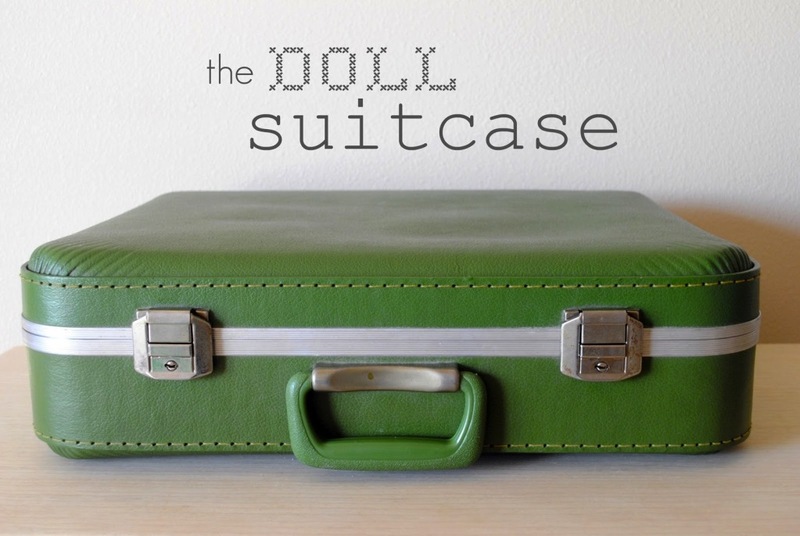 These beautiful tutorials are available via her beautiful blog. Find the house here. You'll see several links to the blocks on the same page. 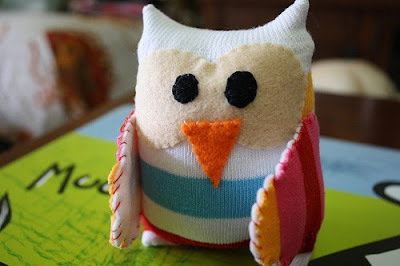 Upcycle: Pull a rabbit (or owl) out of a sock! I grew up with "Haas Daas, die nuus haas" - a hare named Daas who presented kid-friendly news in Afrikaans. Bare in mind, TV only became available in SA in the early '70s and what was on was limited. To say the least. But I loved that hare. 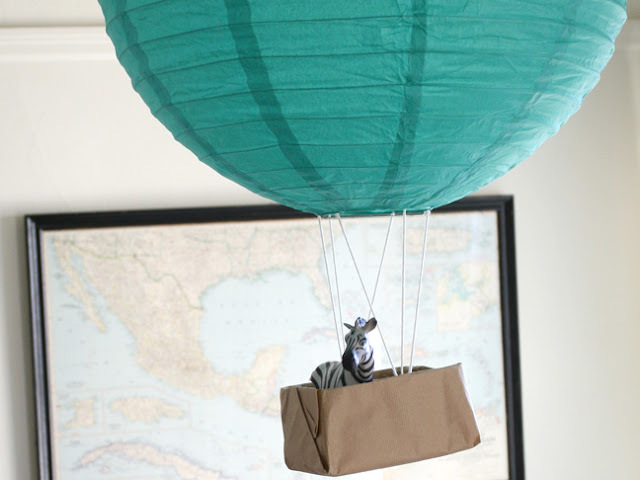 So once again, I'm posting a Jane Avion tutorial. Because she rocks. 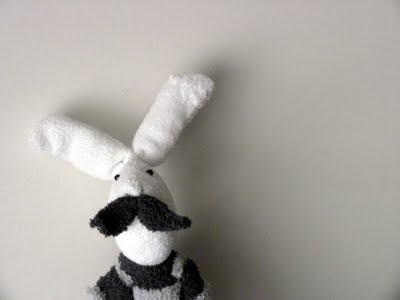 And anyway, who doesn't love a good, mustacheeeod sock rabbit? What did I "make" this past weekend? We made a pretty nasty old closet look better. We ripped out the old shelving, spackled, painted and today a new system went in. Very satisfying ... perhaps I will post pictures! Anyways ... on to felt, the endlessly versatile material. 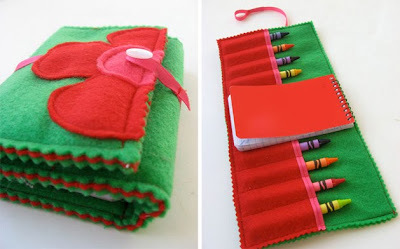 The lovely crayon holder tutorial is care of Skip to my Lou. 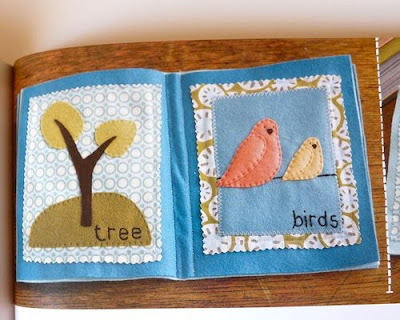 The Felt Book is one of the many lovely patterns you'll find in Sew Liberated. 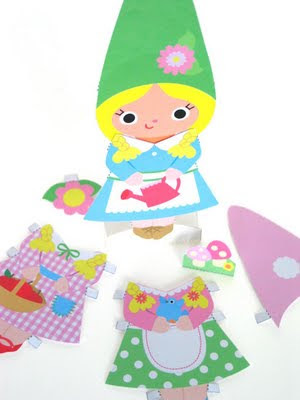 I am THRILLED that paper dolls seem to be making a comeback ... in all shapes, sizes and incarnations. 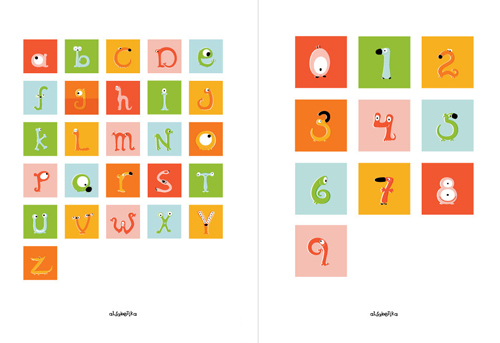 If you're not sure your little one will be interested, print out a couple of (free) sets and see. 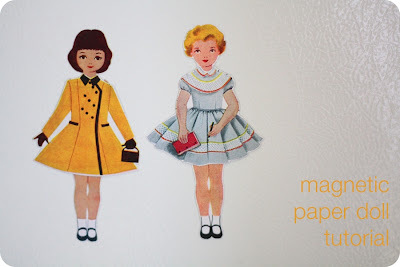 You'll find the tutorial for the pictured magnetic paper dolls at One Pearl Button. For something a little less classic, print out a set of "Gnomies" and other printable toys at MyFantasticToys. 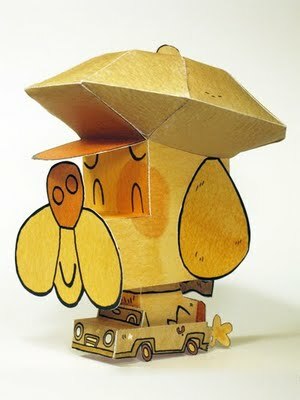 Today is a paper toy day! 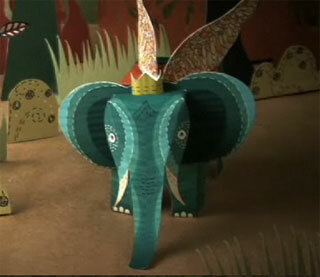 First, take a minute to watch a wonderful stop-motion video (The Curious Dream - From Flat to Flight) then download a beautiful flying elephant for yourself. Thanks to The Curiosity Group - first seen at Paper Forest. 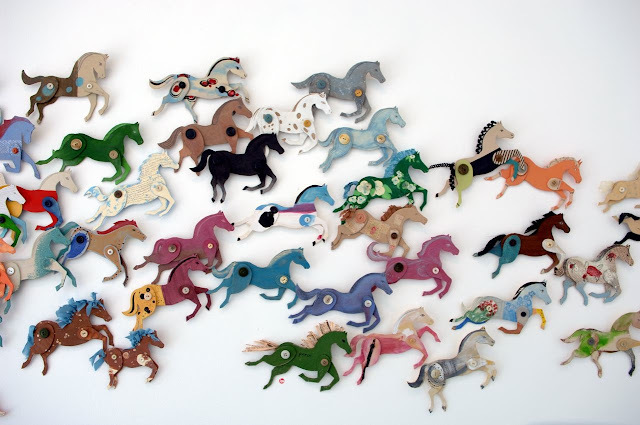 Then, thanks to Ann Wood, get your very own stampede of paper horses! Tutorial and downloadable PDF here. 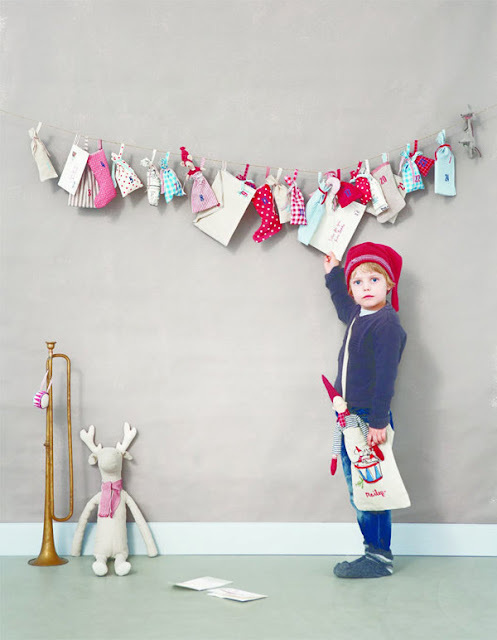 And finally, just in case you haven't had your fill, become a follower of Paper Forest and enjoy Free Toy Tuesday. The adorable Bark-n-Honk picture above is available for download here.